Human Care Air Ambulance Company is highly professional, dedicated and reliable ambulance service. We are committed and provide bed to bed transfer of critically ill or injured patient in affordable price. We give fast assistance to our clients as it is said time saved is a life saved. It is this trust that has aids us to convey time save solutions through Muscat Air Ambulance Services. As air ambulance services not only give the patient the best ever means to medical assistance but also a chopper’s ability to reach unreachable areas makes it essential for the period of emergencies. As we know emergencies happen without any prior admonition as well as they don’t all the time occur at places easily reached by road, in that cases air ambulance services can be a lifesaver. Air ambulance services in Muscat assists in both emergency and non-emergency conditions very well. Our airplanes and helicopters are specially designed for the intensive care of critical patients. Our firm commitment has made us one of the best air ambulance services in Muscat as we provide best airlifting of patients all over the city and outside the country as well. We serve timely air medical services in Muscat with domestic and international aircraft & choppers. Choppers and aircraft available at air ambulance services in Muscat are fully equipped with advanced and portable life-saving equipment such as cardiac monitoring machine, oxygen cylinder, invasive hemo dynamic monitoring, pulse oximeter, defibrillator, IV infusion pumps etc to provide high standard treatment to the patients. We acquire skilled and well- trained team of doctor and paramedic staff such as an Emergency physician, pediatrician and ICU trained nurses etc to give proper treatment to patients during their airlifting as they are very well trained to handle any emergency situations. We take keen attention on the fast transfer of the patient to preferred hospitals. Human Care Air Ambulance Company offers special assistance at the airport for quick and comfortable boarding. 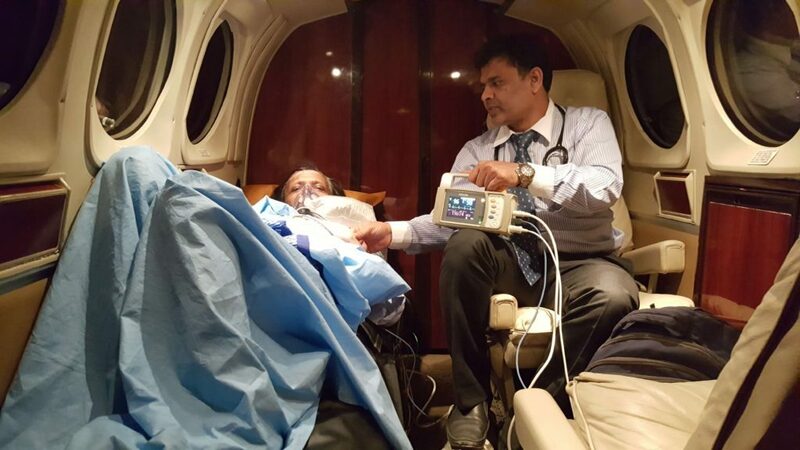 Air ambulance services in Muscat is serving the people with the aim to guarantee safe and cost-effective air transportation of critically ill patients to the hospital subsequent to the medical crisis requirement. We are dedicated to quality, safety and medical excellence to support patients in challenging situations. Using aircraft with best medical equipment, we shift patients rapidly and dependably to the preferred hospital. Human Care Air Ambulance Company’s proficient team takes good care of the patient from the moment of collecting them from their place until their handover at the hospital. We offer 24/7 assistance to needful peoples. Our team also provides air ambulance assistance to peoples who suffered any injury during the natural disaster. Our team is very proficient in providing medical retrieval and repatriation services to the needed persons. Our clients are very satisfied with us for our on time response, effectual communication and positive results. Our undertaking is to transfer critically ill or injured patient with the highest level of medical care at an affordable price in the most difficult condition at anytime and anywhere.